Use this printable to create a fun banner to use as home decor, a party decoration, or wherever you want to add a little Halloween fun. Hello friends, Marjolaine here. Today I'm scheduled for an off the page project and I thought this birdcage would be perfect. It was super easy to assemble and I'm thinking I would like to make many more for Christmas table center pieces. I kept if fairly simple. The cage is painted with two layers of gesso and I used a script stamp on top to add texture. 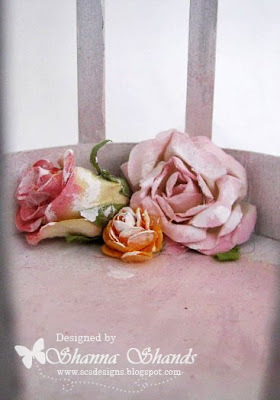 For my roses I used a six petal flower punch and followed this tutorial. I love antique bird cages and will need to find a special place in my home for it. How about you, where would you display it? Printable labels can be used in a variety of ways, from layouts to cards and on dimensional items such as soda and juice bottles for parties. Hi Everyone! 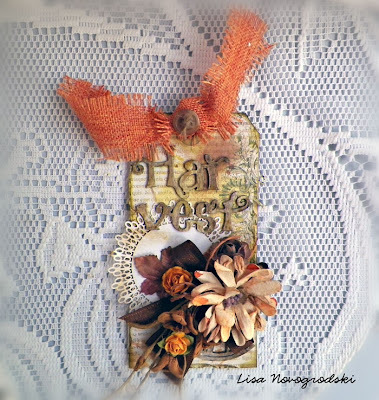 It's Lisa here today I am sharing some tags I created for Gina's with the gorgeous fall chipboard designs! 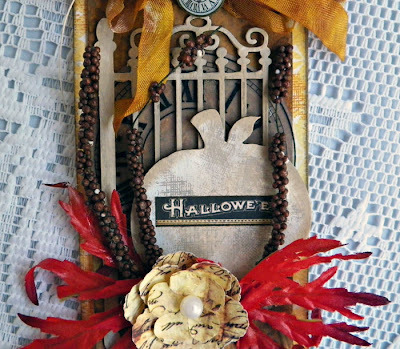 I love the gate and pumpkin. 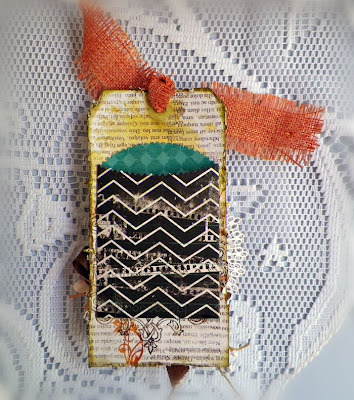 Here I have used gesso and distress ink and stamping. Lots of layers with florals and hand dyed seam binding. I like my tags to have a purpose beside looking beautiful. This one has one of Gina's glassine bags on the bag for a little treat! 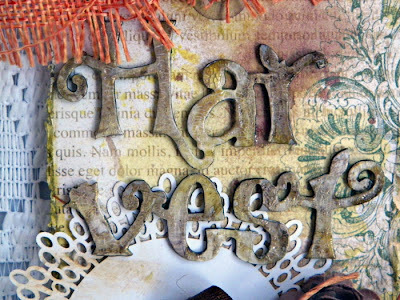 Next up is this gorgeous Harvest chipboard. I used multiple inks and crackle to get this glassy effect! I love it! 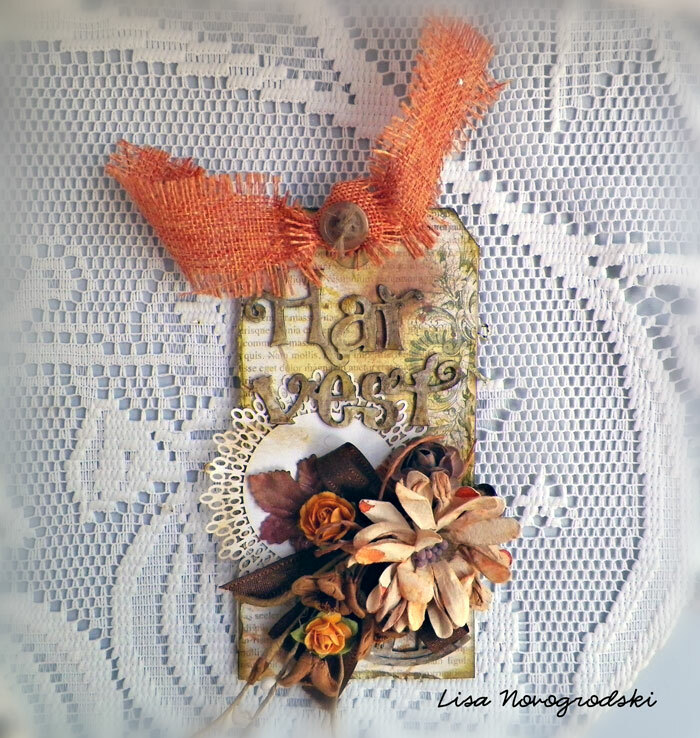 I have a beautiful floral cluster on here and have layered in one of the little floral sprays from Tresors DeLuxe Etsy. 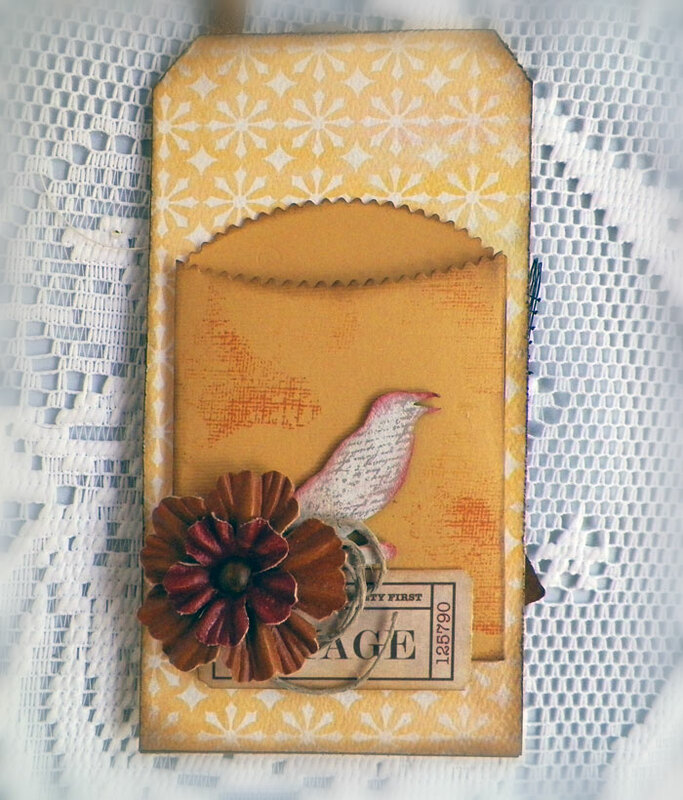 Finally I have a beautiful slightly grungy tag I created with the crow chipboard. 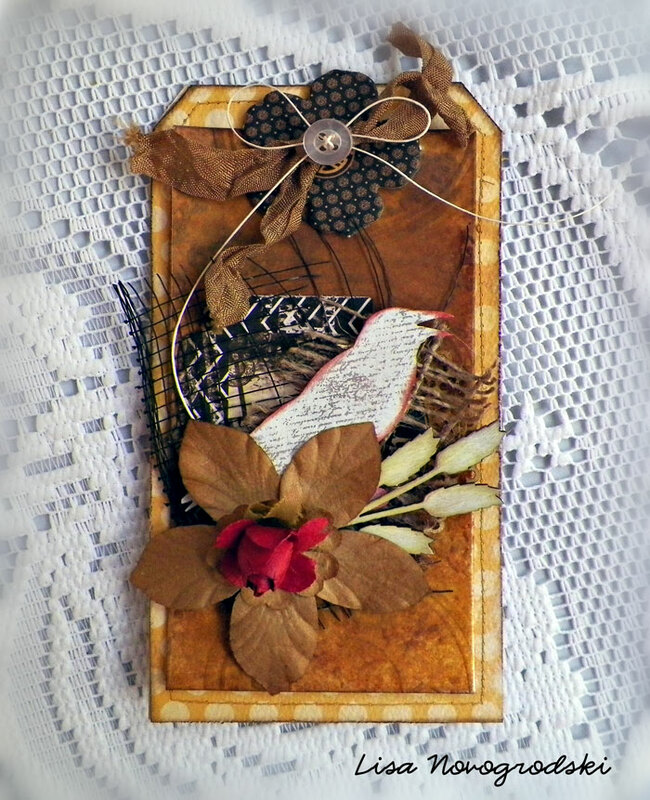 On this one I used gesso and stamped on the chipboard then inked the edges. Thanks so much for taking the time to visit me today! 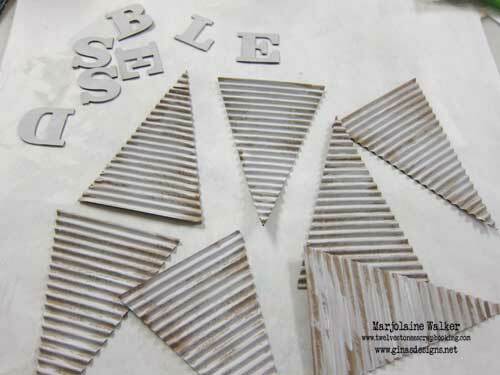 Don't forget to stop by Gina's store and pick up some chipboard! 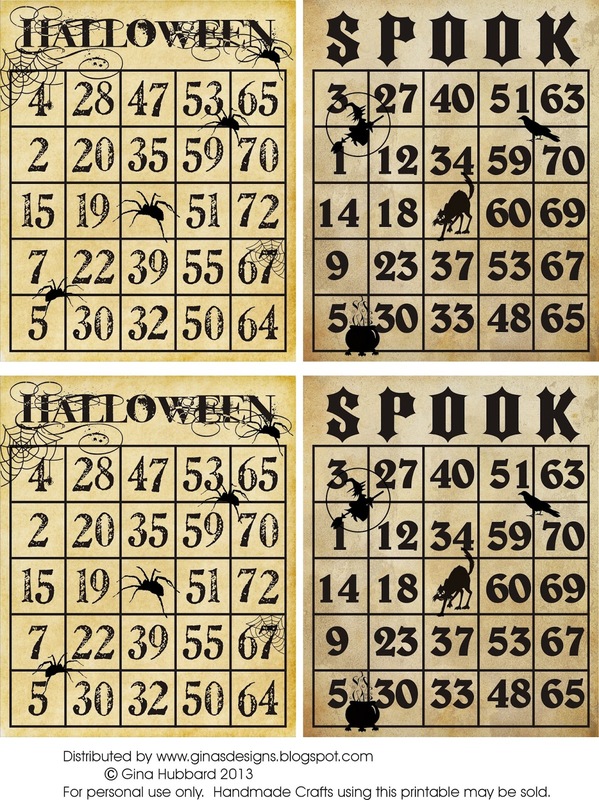 Here are some bingo cards that are just right for haunted cards, layouts and altered items. The cards are provided in two sizes so you can use them in several different ways. Hello friends! 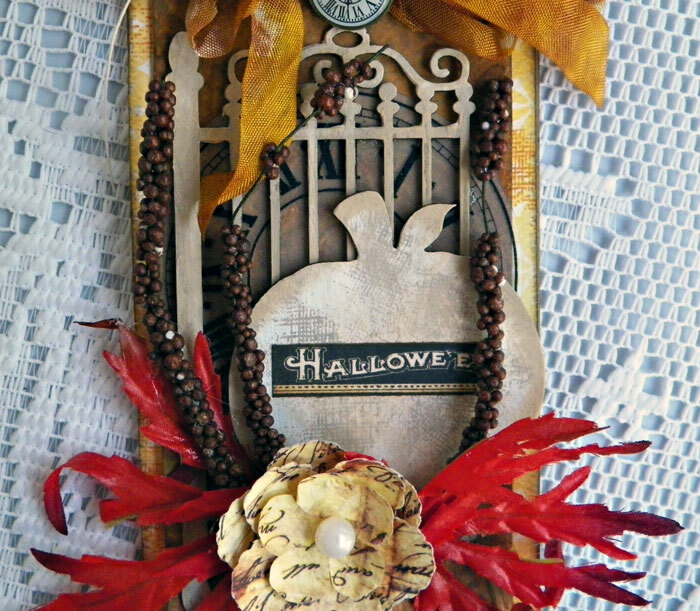 It's Nancy here with a spooky version of our photo display tray in the damask style (one of many styles available). 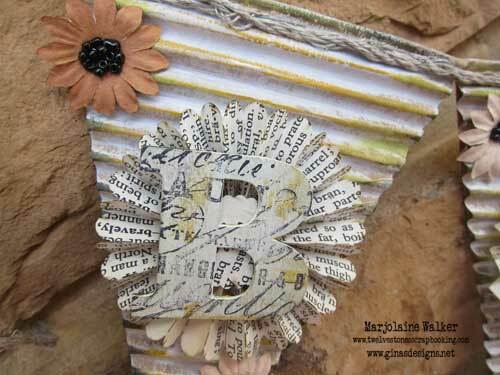 In this creation I've teamed up lots of Gina's fun chipboard shapes with papers from Graphic 45. You can't go wrong with this combo, and I had so much fun I was awake all night just waiting until I could get up and play some more. 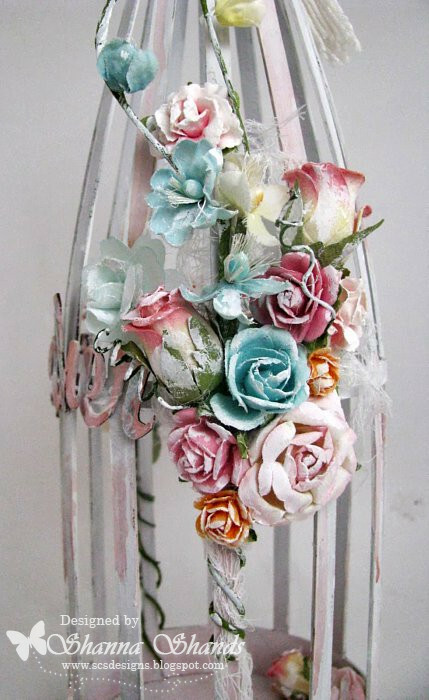 Hello- Heidi here to hopefully give you a little vintage inspiration. 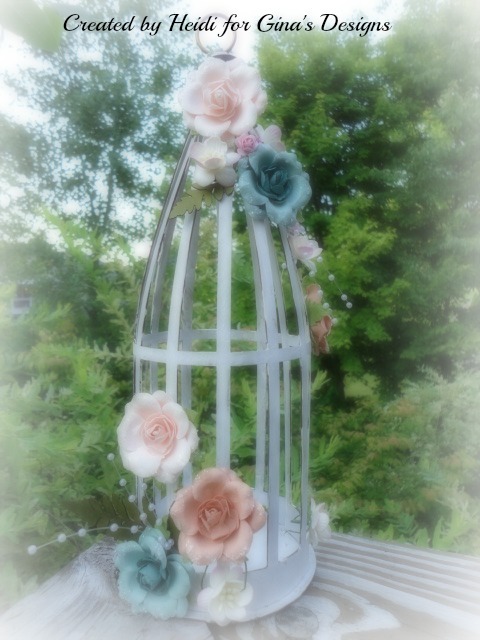 My project today is one of the birdcages from Gina's Designs (this one will be available soon! )- is this not the sweetest? It comes in 3 pieces, the cage portion is connected at the top very easily with some string and then there are slots on the bottom to tuck into. I painted mine, inside and out, before I put it together and would recommend it.. Then go ahead and alter to your hearts content! The little hanger on the top is a 7gypsies metal piece. 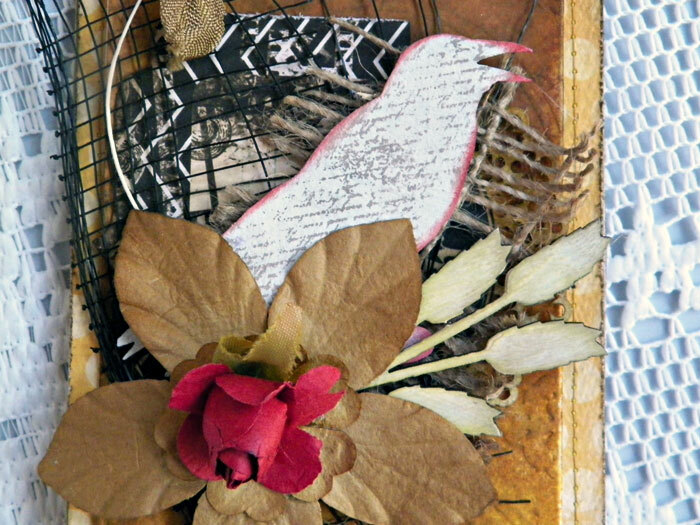 I love the vintage feel to this and found I can add it to the entrance table or fire place. I didn't have one, but wouldn't a little bird be cute sitting inside? The size is about 8 inches so it can make quite a statement!! Take care and have a fabulous day! Kathi here to share with you my most recent project for Gina's Designs. I created this banner using the word SIMPLIFY. Red & blue paper was added behind the corrugated pennant by off setting both colors, the rosettes where spayed using Lindy's Stamp Gang Sprays. After coloring each letter I then added a design using ivory ink. 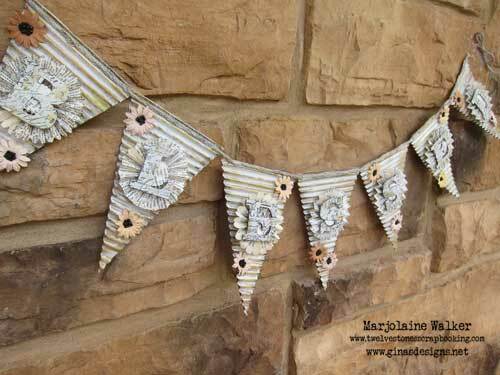 I used white gesso on each of the corrugated pennants. The letters were then connected with butchers twine. Happy Monday everyone!! It's Simply Monica here from Florida again. 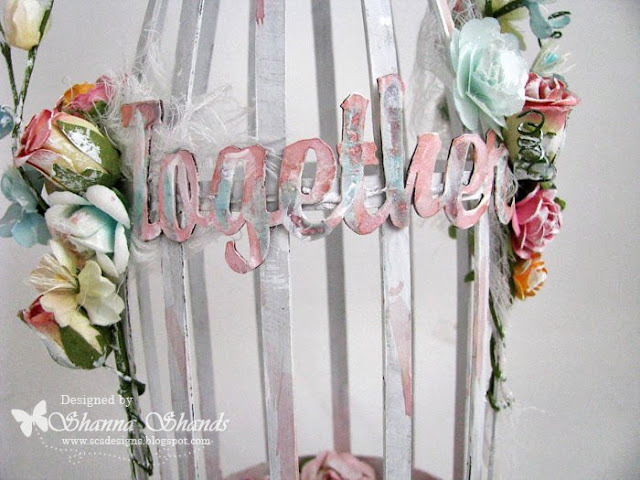 Today I am sharing an upcycled clock I found in Marshalls awhile back. I just about threw anything I could find on this one lol. 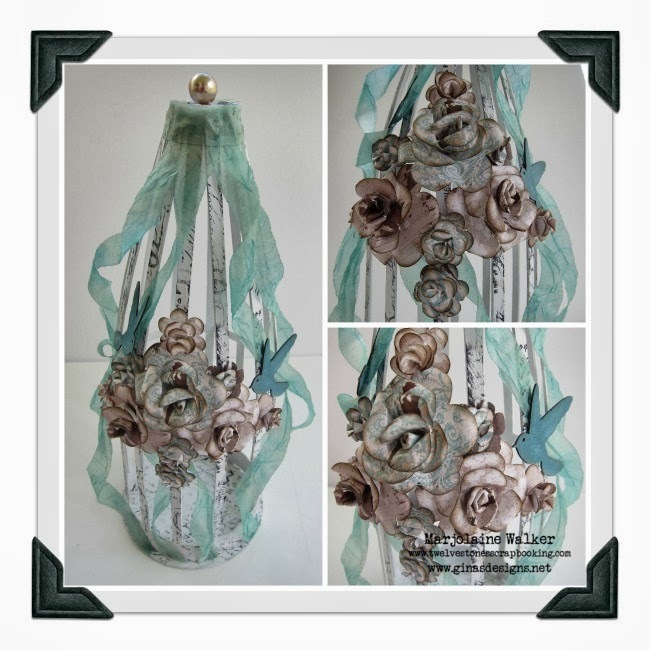 I used some amazing pieces from Gina's Design, gesso, CI paint, glimmer mist, fabrics, paper and bunch of other fun stuff. Chippies I used from Gina's Peacock Feathers shape set and Feathers. 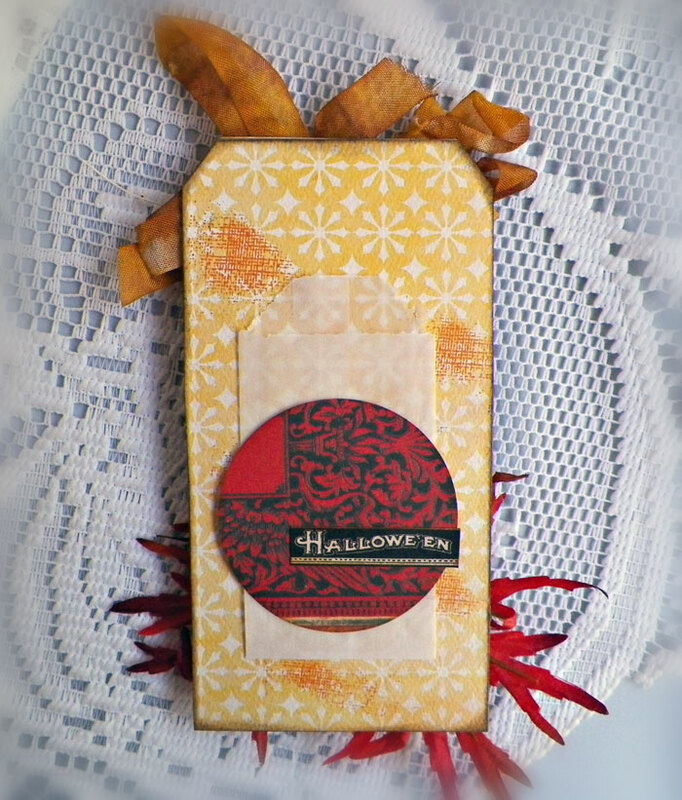 I used decoupage glue to adhere everything to the wood box. I hope everyone enjoyed my piece today and I finally got a new camera so I can start making some videos as promised. 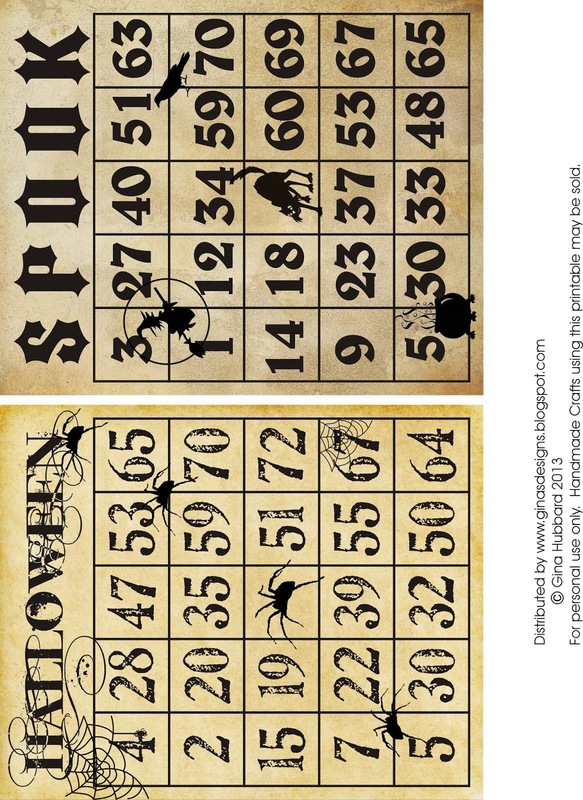 Thanks for stopping by and check out the past Friday Freebie Gina did a fabulous Halloween set just click the link and look for yourself!! Hello friends, Marjolaine here with a quick banner project! I've been looking forward to making this banner ever since I received it a few months ago. I was so happy to sign up for today's post so I could make it. 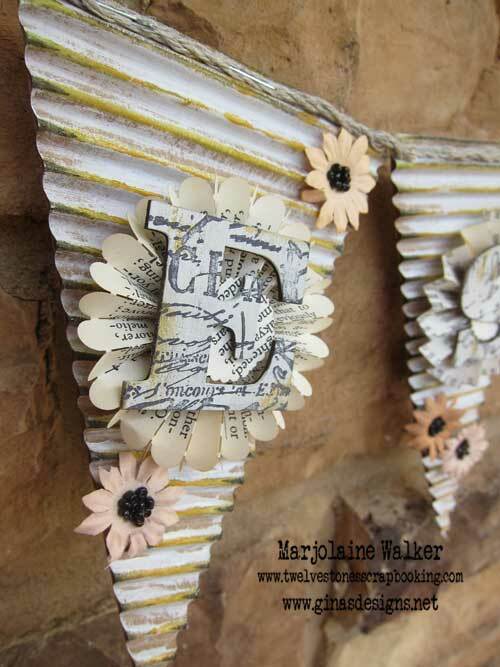 The banner comes with your choice of word, the paper strips to make the rosette flowers and the corrugated cardboard pennants. I started off with a thin layer of gesso over all the pieces. Then I used two different Gelatos to color the pennants. ...stamped my letters with script and rubbed a little Gelato on them. Lastly I made the little rosette flowers, (so easy thanks to Gina!) assembled everything together and added some embellishments! What word (or words) would you choose for this project? Let us know in the comment section! Good morning everyone. I have a wonderful new project to share. 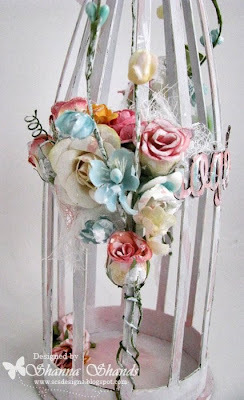 Gina's Designs products go so well birdcages! 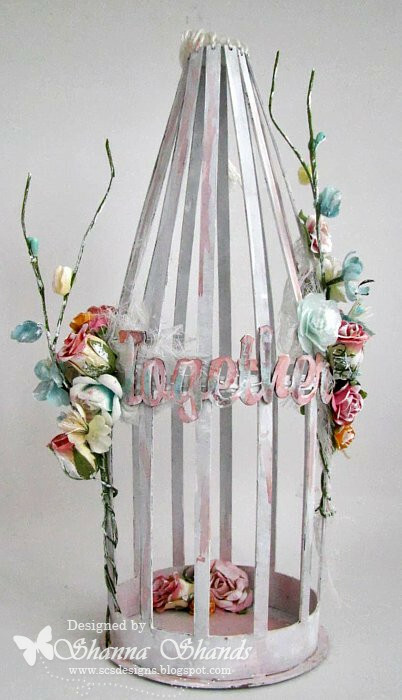 Here you will see the words together as you normally pair birds this could be a good wedding present and maybe have an engagement or wedding photo hanging on the inside. 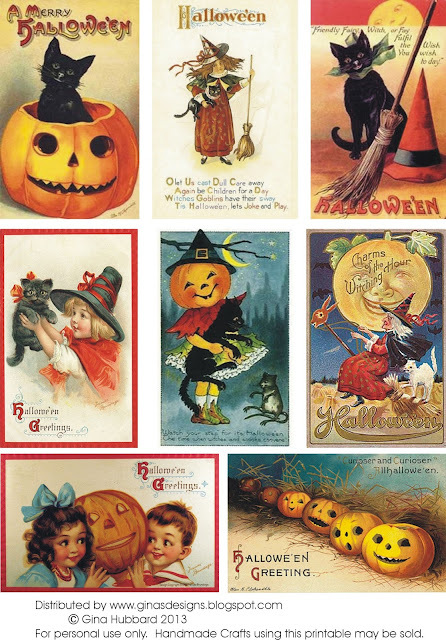 Vintage cards are so fun to look at, alter, and use in our crafts, but they are not always easy to find. 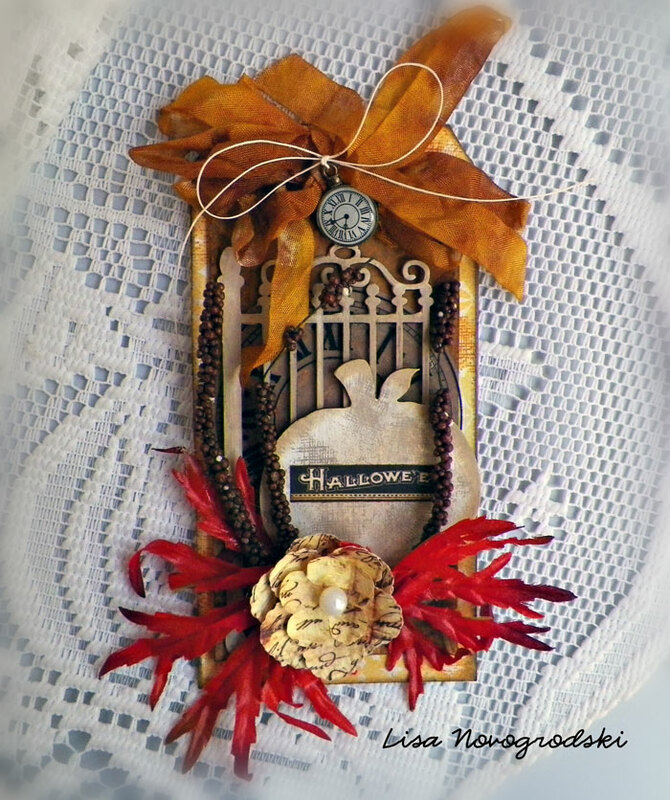 This printable is made using scans of vintage Halloween cards. They make great elements, journaling cards and toppers. Check out the great Halloween items in the store as well! This is the fan after I (well..my Mom) Painted it gold. The first time I saw the fan I thought it would make awesome Christmas Ornaments! Turned up side down , they make really pretty tear drops . This is what I used for each ornament. First you will need to set the back, to do this I glued 2 leaves on then an oval over top to cover the glue up, make it look neater. 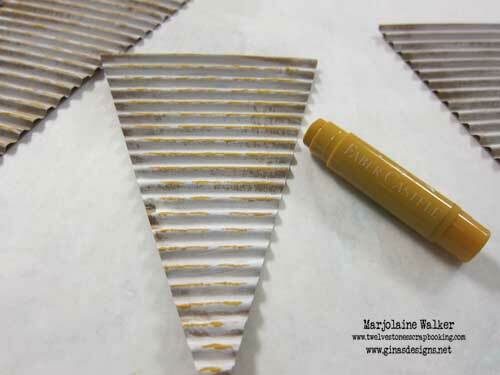 The reason for doing the back of the ornament this way is to hide all the glue from the front embellishments. Next- the front , first add your image to the center . Next- add the leaf and poinsettia. Add one of the mini roses on to the leaf. (I like to wrap the rose stem around a paint brush to get that really nice curl). Now you just need to add the bow and hanger to the top and ta da ......you got your self 6 really awesome ornaments! 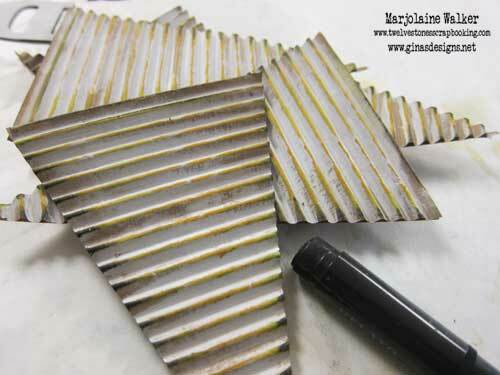 I hope you give this a try , they are so easy to make ! Hi everyone Monica here. I hope everyone had a great Labor Day weekend. I had three days off and it was nice. So for today I am sharing a mini album display case that is made from masonite from Gina's Designs. 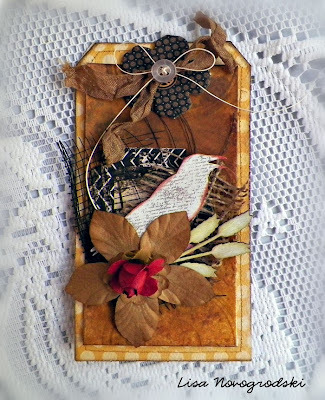 I took the side floral door from an ATC Shrine Leaves display box also available from Gina's and added it to the mini display like a side panel for a different look. 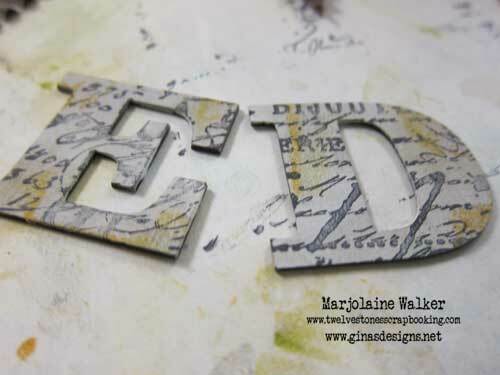 Then I added some patterned paper, applied gesso and inked all the edges to give it a distressed look. 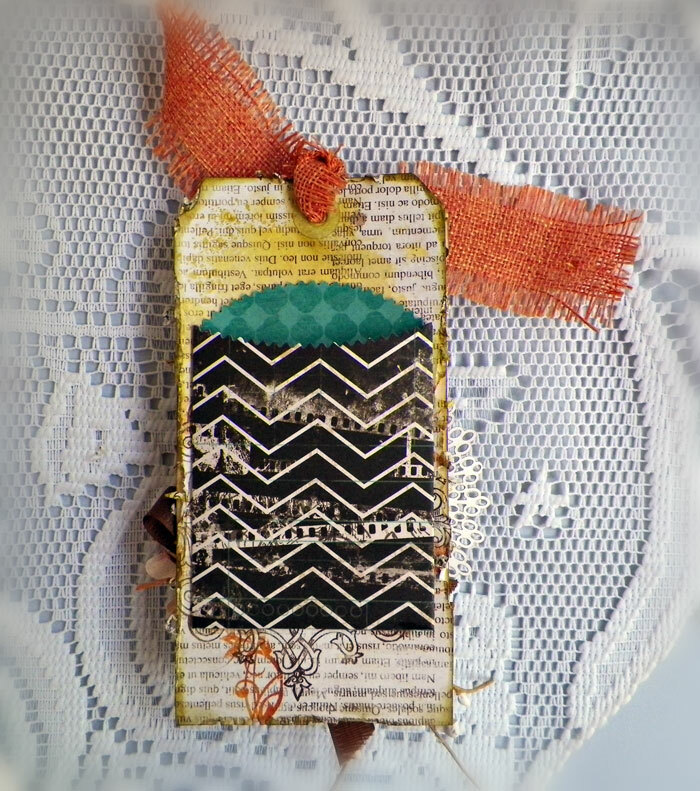 Inisde sits this mini book and made a band that will hold the mini book closed and all you do is slide it on and off. It opens up to an accordion book. Slide the band back on and it keeps it shut. Thanks for stopping by.. and don't forget to check out the Friday Freebies Gina's does every week! !